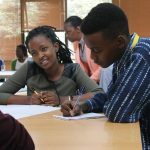 The swivelBOX Academy provides an innovative combination of online and offline learning in STEM and entrepreneurship, which has been specifically developed for 14 – 18 year olds in East Africa. Their mission is to nurture young East African talent and provide them with the necessary networks, entrepreneurial and tech-centric skills to thrive on both the domestic and international scale. SwivelBOX is now partnering with Andela to run a tech programme for 14-18 year olds! We caught up with co-founder Kiran Sahib to learn more. I started swivelBOX in January 2016 after leaving my job as Program Manager at Balloon Ventures. Balloon Ventures is a social enterprise that provides entrepreneurship training and microfinance to informal sector individuals who are 18 and above in East Africa, West Africa and parts of Asia. Having worked quite closely with entrepreneurs and explored the start-up ecosystem in Kenya, I noticed a problem. Entrepreneurship education is treated as a ‘band aid’; young people go to school and university and are being prepared to find a job, however in reality the job market in Kenya doesn’t have the capacity to absorb the number of graduates being churned out. So the swivelBOX journey began! In July 2016 we ran our first pilot with 25 students. The success spurred the development of Stage 2 programme and demand meant we were prompted to run another Stage 1 Programme in December. In total we have had 50 students through the programme, 7 of whom have progressed to Stage 2 and have a proved business concept in terms of sales and are progressing on to apply for initiatives like the African Leaderships Academy’s Anzisha Prize. ‘My name is Maria Ukpere and I’m 16 years old. I was enrolled into the stage 1 SwivelBOX Academy by my mother. Stage 1 was all about teaching us how to come up with a business in 5 days through looking at our problems, passions and trends. After completing stage 1 I anxiously waited for stage 2 because I genuinely enjoyed myself and the approach that was taken when teaching the material was more like a workshop than a class. When I was given the opportunity to attend stage 2 and actually build my business I was more than happy to go. Our next steps are to grow our reach across Kenya by taking the training online and delivering it to 14 – 18 year olds using innovative technology in artificial intelligence and virtual reality. In addition, we are keen to increase our offline experience and work on increasing the number of young people going through the programme. Our vision is to nurture East Africa’s next generation of tech savvy entrepreneurial and proactive leaders who will build the East African private sector. We want to encourage a generation of job creators not job seekers. So in terms of ‘what’s next for swivelBOX’ we are keen to diversify our offline and online courses to include STEM courses to provide young people with the necessary technical skills. 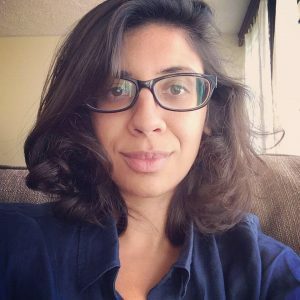 Kiran Sahib is co-founder of swivelBOX. Kiran graduated in 2011 from the School of Oriental and African Studies (SOAS) with a degree in African Studies with Development Studies. After graduating Kiran joined Balloon Ventures for 3 years where she helped grow the organisation from a 3 person start-up to a fully functioning SME, before leaving to start swivelBOX. Her interests lie in youth empowerment and private sector development in East Africa. Next Post	Are you thinking of applying to business school?